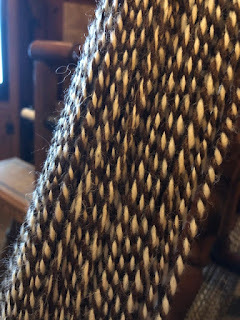 With fingers and feet busy, I have been spinning 3 years of alpaca fiber. 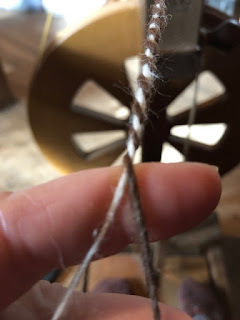 Last week I spun a few spools of fiber with the intention of plying. 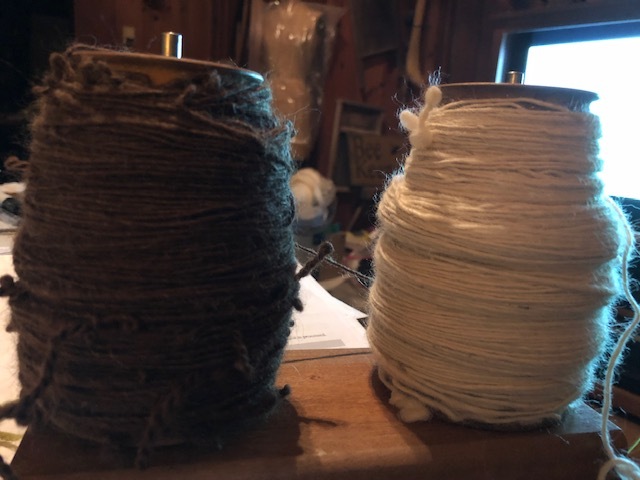 The left spool is from our alpaca, "Awan" and the right one is from our "Winchester", with about 300 yards each of some lace weight yarn, tightly spun. 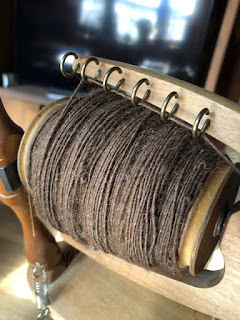 This helps with plying and also is great for my affinity to over spin! gives me a consistent, nicely spun yarn! 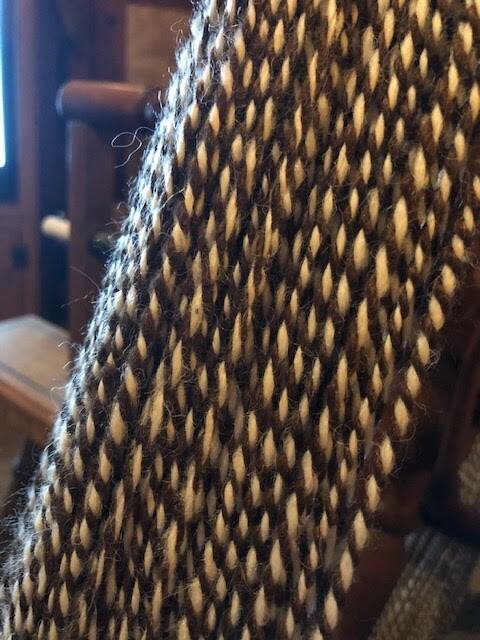 I am quite pleased with this yarn. It's been some time since I have plyed yarn. I have been enjoying "Art Yarns" for some time now that I forgot how much fun plying a beautiful yarn can be. 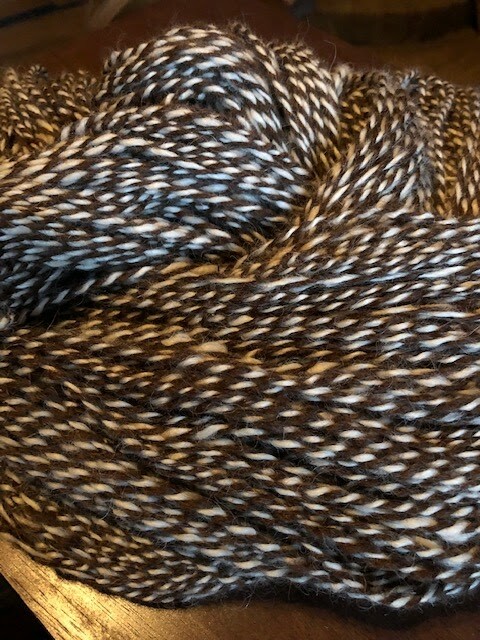 And there we have it, 300 yards of 100% alpaca, plyed and ready to go to the Connecticut Sheep and Wool Festival!